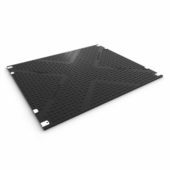 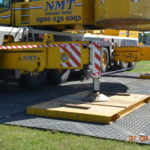 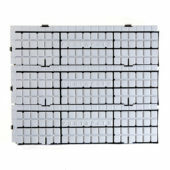 Grassform Group can hire the Tufftrak mats on long or short term hire depending the project requirements. 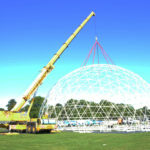 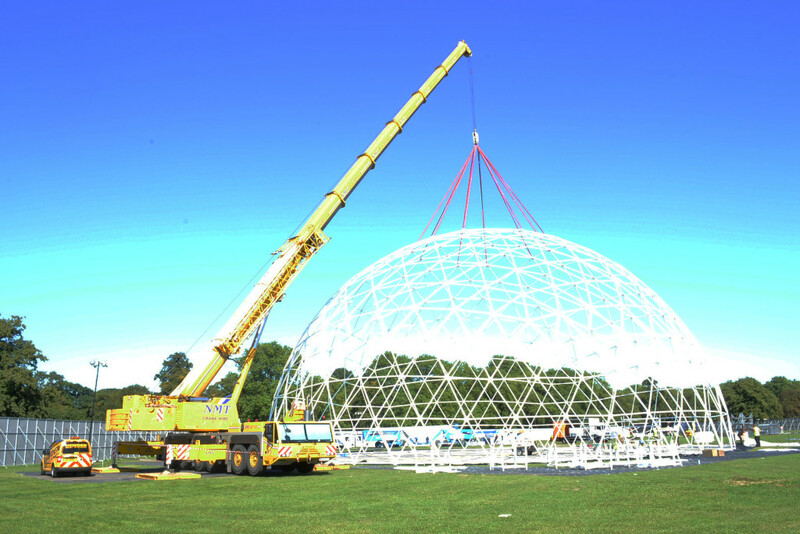 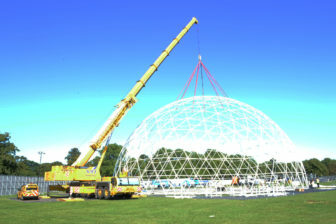 With many satisfied customers in the events, construction and access markets one recent project was on Clapham Common where access was required for a 250 tonne crane across the park to rig a 120 foot dome for Sky1’s Got To Dance. 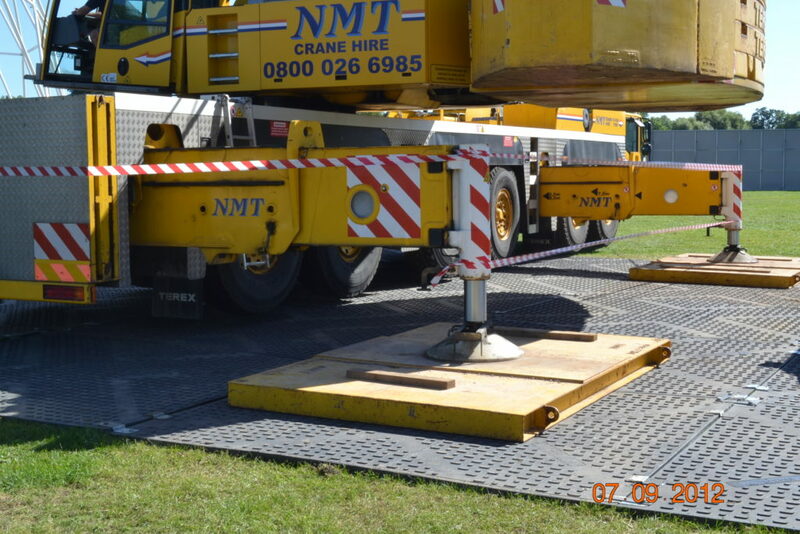 750 lineal meters of Tufftrak mats were used for access routes for the 250 tonne crane and articulated lorries to set up the event, along with Grassform’s smaller man-hand able mats for the car parks for the production crew. 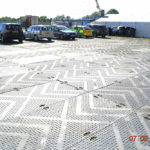 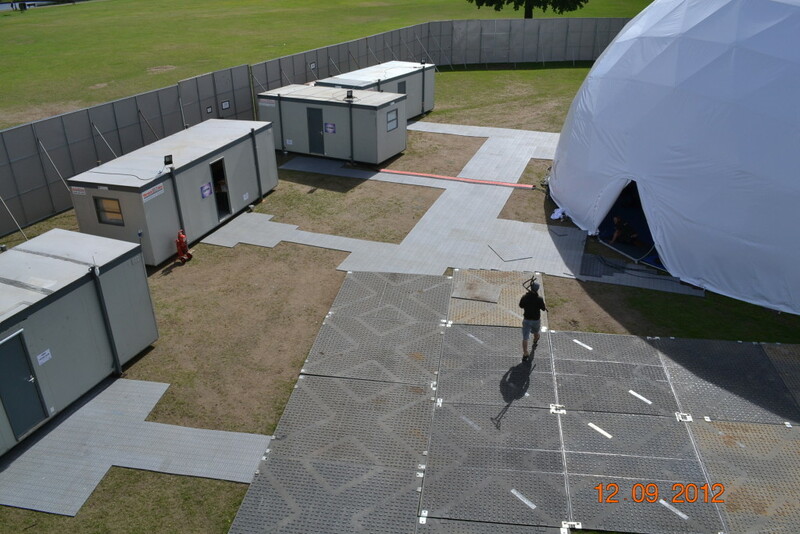 All pedestrian areas around the cabins and audience areas were covered with Porta path which can be clipped together in any dimension to form seamless non slip walkways. 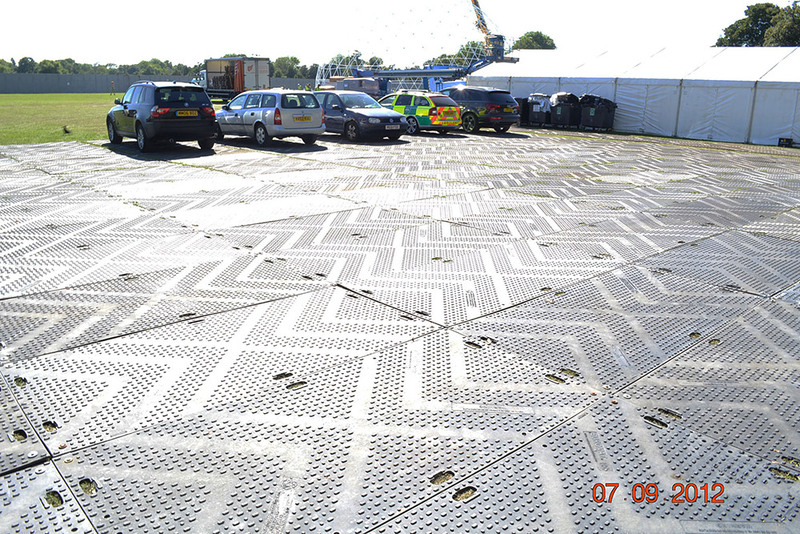 ‘’This was a fantastic and challenging project with many different flooring solutions required to meet our clients brief. 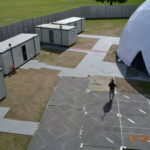 The install programme was cut in half due to a planning issue on the Dome, however our crew rose to the challenge and pulled out all the stops to install the flooring in record time so there was no knock on effect for our client’’.